Achieving results fast with an innovative touch display: Miele’s new M Touch controls are both easy-to-operate and navigate with a touch-activated control panel that lifts with the touch of a button to provide optimum comfort and ease. 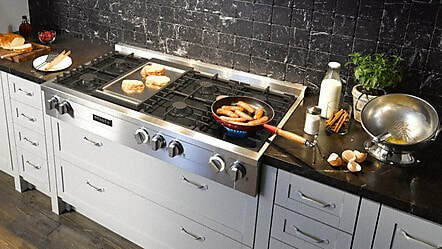 ​Featured in the All Gas Ranges and Electric Range, Miele's DirectSelect controls offer turn dial operation for smooth and easy navigation during the cooking process. 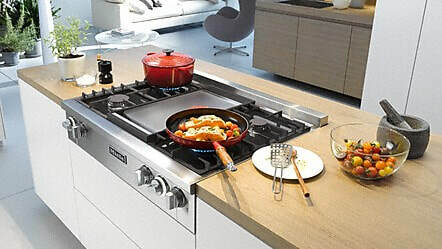 Cooktops are always the focal point of the kitchen, whether on an island or integrated into a run of units. 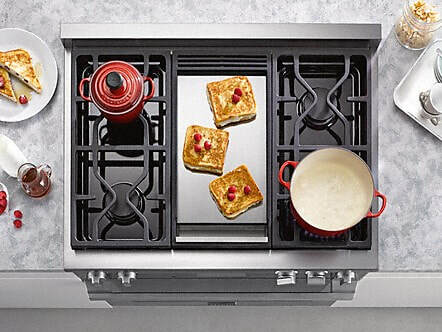 Miele offers the Rangetops in two different sizes to help you design your personal kitchen environment. The KMR 1356 is characterized by generous segmentation and many convenience features: Six gas burners and one griddle zone leave nothing to be desired when preparing food. The KMR 1136 is approx. 35 in wide and features room for four gas burners and one griddle zone. 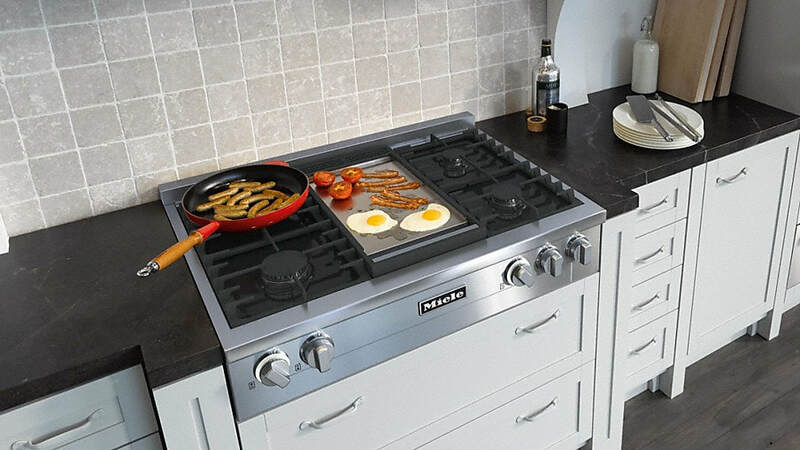 This Rangetop model has convenience features such as back-lit rotary controls, just like the KMR 1356.